This young girl’s dress follows the cut of those of women at the time, in their simplest forms, having a loose, unshaped bodice and a short, straight gathered skirt. 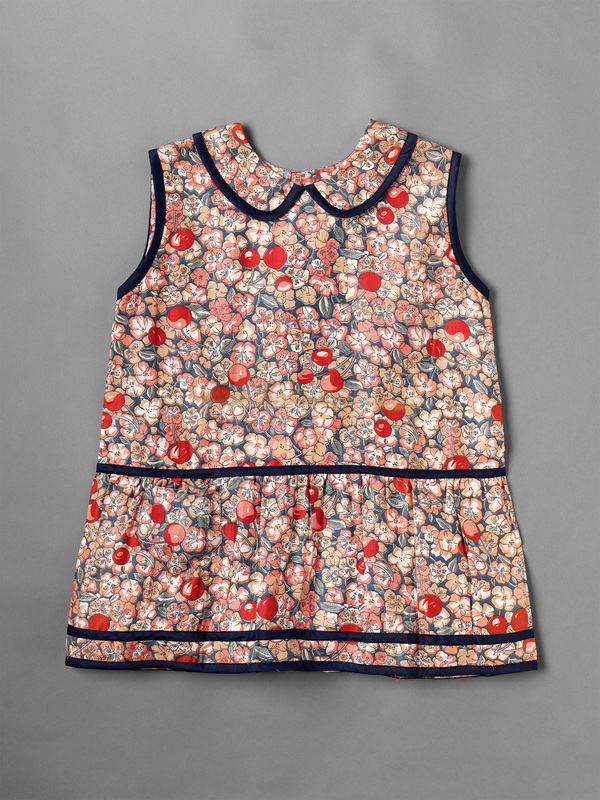 A far cry from the type of long sleeved garment that would have been worn by the child’s mother in the summer, the dress allowed unencumbered play and exposed the arms and legs to the fresh air. 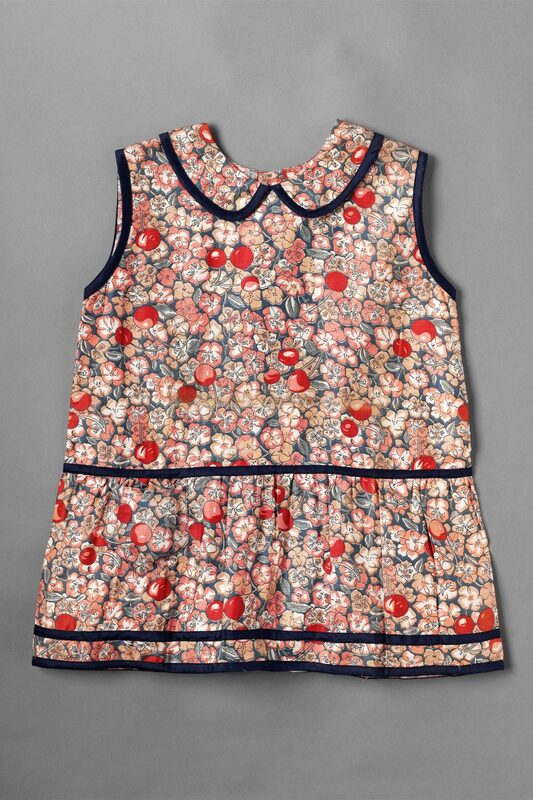 It is made of a fairly coarse cotton printed with a cheerful design of cherries and blossom suitable for both children and adults, and easily laundered. The front and back are almost identical in form, except for a back fastening with three mother of pearl buttons. Although an unsophisticated garment, it has been competently made, with carefully applied bias binding and hand sewn buttonholes.